Jetse Bol has signed for Burgos-BH making a move from Colombian team Manzana-Postobon. The rider will be with the Spanish team at the Vuelta a Burgos, the Clasica San Sebastian and the Vuelta a España. The Dutchman, who already lives in Spain, started his career at the Rabobank Continental team from which he stepped up to the WorldTour team with the same name in 2010 as a stagiaire. The rider moved to the Colombian team in 2017 where his best result was the tenth place at the 2017 Vuelta a Burgos. 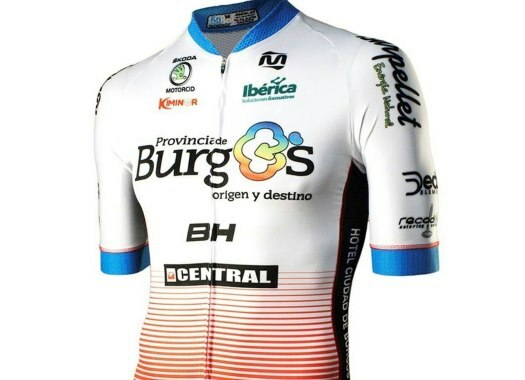 "I'm very happy to sign with Burgos-BH," said the rider. "I would also like to thank Manzana Postobon for the way they treated me during the year and a half that I was with them. They were my family and allowed me to come back to the elite, so I will always be thankful to the sponsors and the human team. "Looking at the end of this season I will have many challenges with Burgos-BH, which are also very attractive. It is my dream to be back to the Vuelta a España and I'm convinced that I will have a good level." For Burgos-BH, this signing means that they will have an extra man for an important moment of the season. "We haven't had luck with the injuries, considering that we have been almost the entire year with three or four injured riders," commented Julio Andres Izquierdo, director of the team. "We will be facing big challenges in the rest of the season and we wanted to step up in quality. "There was the option of signing Jetse Bol and I think he will give us exactly what we need: an experienced rider that has qualities for the flat and medium mountain terrains, who can also get in the breakaway on complicated days. We are very happy that Jetse will make his debut with us in August."